Crytek have released the source code of their triple-A game engine, CryEngine, for free on GitHub, though it’s still classed as a licensed product. 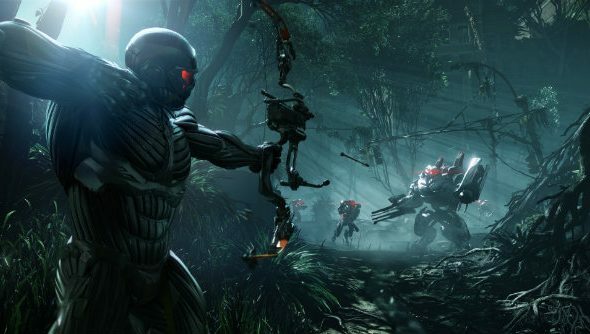 Guess how many of our best PC games list were achieved with CryEngine. If you’ve ever been curious what a triple-A game engine’s source code looks like, you can take a look at CryEngine’s on GitHub now. Crytek have released build instructions and everything. Even with access to the source code, you’re still limited by what you can do, however, as downloading it makes you subject to the terms of the license agreement. No ‘Serious Games’ for you. According to Phoronix, this could hopefully lead to someLinux/OpenGL/Vulkan improvements via the GitHub development community. Here’s how Crytek see it: “In the past, public CryEngine releases came with source code in a zip file included in the build,” explains senior systems engineer David Kaye in a blog post. “While this allowed users to customize systems as they saw fit, it was a simple drop of files. To see the difference in a set of files between one release and the next, both archives needed to be extracted and compared. Read about the nitty gritty in the technical documents.